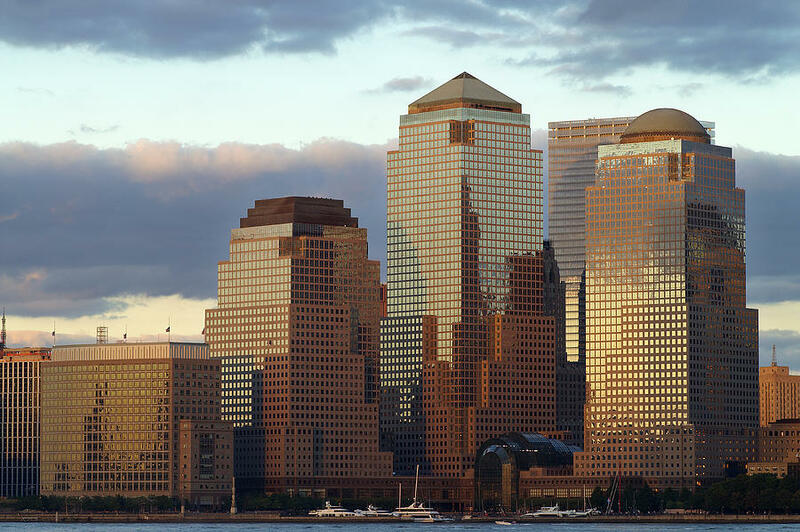 World Financial District In Nyc is a photograph by Brien Szabo which was uploaded on January 14th, 2010. World Financial District in downtown New York City. Late day sun basks on the Financial District along the waterfront making the buildings give off a soothing glow.